No invasive mussels found in Sask. The Government of Saskatchewan concluded its invasive mussel monitoring program for another year with no confirmed findings of invasive mussels in 90 waterbodies sampled throughout the province. This year, conservation officers completed 1,212 watercraft inspections and provided invasive species information to 872 watercraft owners who entered Saskatchewan from the United States. Of those 2,084 watercraft, 307 received a detailed inspection and 119 required decontamination. • The Ministry of Agriculture, Ministry of Parks, Culture and Sport, SaskWater, watershed groups and the public use the Saskatchewan Adult Invasive Mussel Monitoring Program (AIMM). AIMM is a partnership project with non-government organizations and other agencies to detect unwanted aquatic invasive mussels. AIMM is an easy-to-use and cost-effective monitoring program that provides a valuable tool for widespread early detection across many local waters in the province. 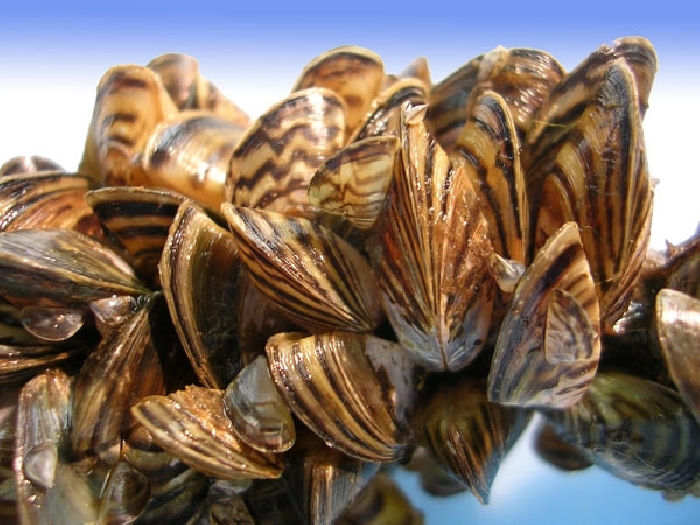 Species such as zebra and quagga mussels can be impossible to eliminate if they become established in a waterbody, and have the potential to severely impact aquatic habitats, fisheries, valuable recreational resources and water-related infrastructure. Saskatchewan partners with provincial organizations, Canada Border Security Agency, and other provincial governments in British Columbia, Alberta, Manitoba and the Yukon to co-ordinate prevention on a regional basis. Amendments to provincial regulations make it mandatory for individuals transporting boats to stop at an inspection station and submit to inspection. Failure to do so may result in a $500 fine. Illegal transport of aquatic invasive species is also a $500 fine. More information about fishing and aquatic invasive species can be found in the Saskatchewan Anglers’ Guide and at www.saskatchewan.ca/fishing.